Draft: 2009, New York Yankees, 4th rd. Adam Parrish Warren...is married to Kristen and the couple has a son, Kendall James (born November 2016)... graduated from North Carolina with a degree in business administration...went 32-4 with a 3.42 ERA (105 ER, 276.0 IP) with 240 strikeouts in 65 games (49 starts)...left school with the second-most wins by a Tar Heel and tied with Scott Bankhead for the school's highest winning percentage... won his first 19 decisions at UNC, marking the longest UNC winning streak since Bankhead won 20 straight from 1983-84....helped the Tar Heels to the College World Series in three straight years (2006-08), leading them to the championship series in 2006 and '07...graduated fifth in his class from New Bern High School (N.C.), where he earned all-state honors as a junior in 2004 and was selected as the New Bern Sun Journal Baseball Player of the Year...was a member of the ping pong club. Made 47 relief appearances between NYY and SEA, going 3-2 with a 3.14 ERA (18 ER, 51.2 IP) and 52 SO against 20 BB...Made his sixth-career Opening Day roster (2013-15, '16-18), his fifth with the Yankees (also made one with the Cubs in 2016)...Went 0-1 with a 2.70 ERA (9 ER, 30.0 IP) with 37 SO in 24 relief appearances with NYY…opponents batted .228 (26-for-114) with three HR...lefties hit .291 (16-for-55) while righties hit .169 (10-for59)…retired 16-of-24 (66.7%) of first batters faced...Made his season debut in a 3/31 loss at TOR, allowing 1 ER in 0.2 IP (1 BB)…was removed from the game after taking a comebacker to the right ankle (X-rays were negative)...Tossed 2.2 innings in a 4/20 loss vs. TOR (2 H, 1 ER, 1 BB, 3 SO, 1 HR), his longest appearance since 4/29/17 vs. BAL (also: 2.2IP)…his 46 pitches thrown were his most since 7/9/16 at PIT (64 pitches)...Placed on the 10-day DL on 4/21 with a right back strain (missed 38 team games)…returned from rehab and reinstated from the 10-day DL prior to Game 2 on 6/4…combined to make two rehab starts with Scranton/Wilkes-Barre (AAA) and Trenton (AA)...Did not allow a run over his first eight appearances after coming off the DL from 6/4-30 (10.2 IP, 5 H, 5 BB, 11 SO)…had a 13.1-inning scoreless streak from 4/20-6/30...Tossed 2.2 scoreless innings in a 6/30 loss vs. BOS, matching his longest appearance of the season (also: 4/20 vs. TOR) and marked his most strikeouts since 4/5/17 at TB (4 SO)...Allowed 2 ER in 1.1 IP in a 7/3 win vs. ATL…marked his first runs allowed since coming off the DL and snapped his 13.1-inning scoreless streak...Made his 24th and final appearance of the season with NYY in Game 1 of the 7/28 doubleheader vs. KC, tossing 2.2 perfect innings...Traded to SEA on 7/30 in exchange for international bonus pool money...Did not allow a run in 17 of his 23 appearances (all in relief) for SEA, going 3-1 with a 3.74 ERA (9 ER, 21.2 IP). Went 3-2 with one save and a 2.35 ERA (57.1IP, 15ER) with 54K in 46 relief appearances with the Yankees…opponents batted .173 (35-for-202, 4HR); LH .208 (16-for-77, 1HR), RH .152 (19-for-125, 3HR)…retired 36-of-46 ﬁrst batters faced in relief (78.3%)…allowed 5-of-29 inherited runners to score (17.2%)... Had 16 scoreless relief appearances of at least 1.1IP, tied for eighth-most in the Majors... Retired his ﬁrst 22 batters faced to begin the season…had the streak snapped with a seventh-inning walk to the White Sox's Tyler Saladino in 4/17 win vs. Chicago-AL (2.1IP, 3H, 1ER, 1BB, 1K)…allowed his ﬁrst hit of the season to Melky Cabrera in the same game (single to left to lead oﬀ the eighth inning)…became the ﬁrst pitcher in Major League history to not allow a baserunner through his ﬁrst four appearances of a season while tossing at least 6.0 innings over the stretch... From 5/27-10/1, posted a 1.91 ERA (33.0IP, 7ER) with 32K in 30 relief appearances... Held opponents scoreless over a career-best 11 consecutive appearances from 6/3-7/21 (13.0IP, 6H, 2BB, 14K)... Was placed on the 10-day disabled list from 6/16-7/4 with right shoulder inﬂammation, missing 17 team games... Allowed a run in four straight appearances from 8/19-28, the second-longest such streak of his career as a reliever (5G out of the bullpen from 7/8-8/2/13)…allowed an earned run in just two of his previous 24 games (5/27-8/16)... Was placed on the 10-day D.L. from 9/6 (retro. to 9/3) - 9/29 with lower back spasms, missing 24 team games...Made his postseason debut in ALDS Game 1 loss at Cleveland…in three postseason relief appearances, posted a 2.08 ERA (4.1IP, 1ER). Combined to go 7-4 with a 4.68 ERA (65.1IP, 34ER) in 58 games (one start) with the Cubs and Yankees, matching his single-season career high in wins…opponents batted .244 (59-for-242, 11HR); LH .179 (15-for-84, 5HR), RH .278 (44-for-158, 6HR)…retired 41-of-57 first batters faced in relief (71.9%)…allowed 15-of-42 inherited runners to score (35.7%). Went 4-2 with a 3.26 ERA (30.1IP, 11ER) in 29 relief appearances after rejoining the Yankees…retired 19-of-29 first batters faced (65.5%) and allowed 7-of-20 inherited runners to score (35.0%) with the Yankees. Was acquired by the Yankees with SS Gleyber Torres, OF Billy McKinney and OF Rashad Crawford from the Cubs in exchange for LHP Aroldis Chapman on 7/25…was added to the active roster on 7/26. Did not allow a run in his first nine appearances with the Yankees (7/27-8/15), matching his career high in consecutive scoreless relief appearances (also 8/5-22/15)…retired 32-of-39 batters over 11.0 scoreless innings during the stretch (4H, 3BB, 10K). Allowed a game-tying two-run HR to Edwin Encarnación and a go-ahead two-run HR to Russell Martin in the eighth inning on 8/16 vs. Toronto to record his first loss after rejoining the Yankees (0.1IP, 3H, 4ER, 1BB, 2HR)…matched his career high in home runs allowed (sixth time, second in 2016). Was 3-2 with a 5.91 ERA (35.0IP, 23ER) in 29 games (one start) over two stints with the Cubs (4/4-6/21 and 7/6-23). Made his only start on 7/6 vs. Cincinnati, allowing 1ER in 5.0IP (3H, 0BB, 6K, 1HR)…his only run allowed came on a leadoff HR by Zack Cozart. Allowed a career-high 7ER and recorded the loss on 7/9 at Pittsburgh (2.0IP, 5H, 3BB/1IBB, 2K, 2HR)…also tied a career high in home runs allowed. Made two starts for Triple-A Iowa, posting a 4.15 ERA (8.2IP, 4ER) without recording a decision. at Oakland (4H, 2BB, 4K)… was the longest appearance by a Yankees reliever since Hector Noesi also threw 6.0 innings in relief on 6/7/11 vs. Boston and the longest scoreless appearance since Kei Igawa recorded 6.0 scoreless innings on 4/28/07 vs. Boston. Was optioned to Triple-A Scranton/Wilkes-Barre on 6/14, but did not appear in a game prior to being recalled on 6/18 when Mark Teixeira was placed on the disabled list. Allowed an 11th-inning "walk-off" solo HR to Mike Napoli in 7/21 loss at Boston. Made his first start of the season on 8/21 vs. Toronto, allowing 2ER in 3.0IP. Went 2-0 with a 1.74 ERA (10.1IP, 2ER) and 10K over his final six appearances of the season (one start)… five of those outings were scoreless, including his 5.0-inning start on 9/27 at Houston (2H, 1BB, 4K). Made just one appearance over two stints with the Yankees (6/28-30 and 9/1-10/3) in his first Major League action...Was signed to a Major League contract and selected to the Yankees' 25-man roster from Triple-A Scranton/Wilkes-Barre on 6/29 and made the start that night vs. Chicago-AL...did not record a decision, allowing 6 ER in 2.1 IP (8 H, 2 BB, 1 K, 2 HR)...was the shortest outing by a Yankees starter in his Major League debut since LHP Sean Henn on 5/4/05 at Tampa Bay (also 2.1 IP)...was the first Yankee to make his debut as a starter since Ian Kennedy on 9/1/07 vs. Tampa Bay (W, 7.0 IP, 3 R, 1 ER, 2 BB, 6 K, 1 HR)...Became the first Yankee from the organization's 2009 draft class to appear in the Majors...was optioned back to Scranton/WB the next day...Was recalled for a second stint from Scranton/WB on 9/1, but did not appear in a game...Spent the majority of the season with Scranton/WB, going 7-8 with a 3.71 ERA (152.2 IP, 63 ER) in 26 starts...led the team in strikeouts (107) and ranked second in innings pitched and games started...Held his opponent scoreless in six of his outings...was credited with his second career shutout in 6/3 win at Norfolk, tossing 7.0 shutout innings in Game 1 of a doubleheader (5 H, 0 BB, 6 K)...Following the season, earned the Rawlings Minor League Gold Glove Award as the top fielding pitcher in the Minor Leagues. Went 6-8 with a 3.60 ERA (152.1IP, 61ER) in 27 starts with Triple-A Scranton/Wilkes-Barre...marked his career-high in innings pitched and ranked 10th in the IL in ERA...was named to the IL's midseason All-Star team after going 6-3 with a 3.20 ERA (104.1IP, 37ER) in 17 starts prior to the break... won five of six decisions from 5/12-6/20, including one complete game, going 5-1 with a 2.50 ERA (54.0IP, 15ER) in eight starts over the stretch...pitched 7.0IP or more and allowed 2ER or less in five of those appearances. Combined to go 11-7 with a 2.59 ERA (135.1IP, 39ER) in 25 starts with Single-A Tampa and Double-A Trenton...allowed 3R or less in 19 of his outings and was the starting pitcher for four shutouts...began the season with Tampa where he went 7-5 with a 2.22 ERA, allowing 20ER in 81.0IP...was named to the FSL midseason All-Star team...went 4-2 with a 3.15 ERA (54.1IP, 19ER), after being promoted to Trenton on 7/16...was named the Eastern League "Pitcher of the Week" for the week ending on 8/22, after recording a franchise-record 15K and allowing only 2H in seven shutout innings in the Thunder's 3-0 victory vs. Bowie on 8/18. Made his professional debut, going 4-2 with a 1.43 ERA (56.2IP, 9ER) in 12 starts with short-season Single-A Staten Island...allowed 1ER or less in 10 of his 12 starts...earned NYPL "Pitcher of the Week" honors twice and was named to the NYPL midseason All-Star team...made two starts in the playoffs for the NYPL Champions, going 1-0 with a 1.69 ERA...led all postseason pitchers with 15K and tied for the league lead in innings pitched (10.2). 1 de marzo de 2019 San Diego Padres agente libre firmado RHP Adam Warren. 29 de octubre de 2018 RHP Adam Warren eligio agente libre. 1 de agosto de 2018 Seattle Mariners activan a RHP Adam Warren. 30 de julio de 2018 New York Yankees cambian a RHP Adam Warren a Seattle Mariners for Future Considerations. 4 de junio de 2018 New York Yankees activan a RHP Adam Warren de la 10-d&iacute;a lista de deshabilitado. 29 de mayo de 2018 New York Yankees envian a RHP Adam Warren una asignaci&oacute;n de rehabilitaci&oacute;n a Trenton Thunder. 26 de mayo de 2018 New York Yankees envian a RHP Adam Warren una asignaci&oacute;n de rehabilitaci&oacute;n a Scranton/Wilkes-Barre RailRiders. 15 de mayo de 2018 RHP Adam Warren asignado a New York Yankees. 21 de abril de 2018 New York Yankees ponen a RHP Adam Warren on the 10-d&iacute;a lista de deshabilitado. Right back strain. 29 de septiembre de 2017 New York Yankees activan a RHP Adam Warren de la 10-d&iacute;a lista de deshabilitado. 6 de septiembre de 2017 New York Yankees ponen a RHP Adam Warren on the 10-d&iacute;a lista de deshabilitado retroactivo al September 3, 2017. Lower back spasm. 4 de julio de 2017 New York Yankees activan a RHP Adam Warren de la 10-d&iacute;a lista de deshabilitado. 16 de junio de 2017 New York Yankees ponen a RHP Adam Warren on the 10-d&iacute;a lista de deshabilitado. Right shoulder inflammation. 26 de julio de 2016 New York Yankees activan a RHP Adam Warren. 25 de julio de 2016 New York Yankees cambian a LHP Aroldis Chapman a Chicago Cubs for RHP Adam Warren, SS Gleyber Torres, RF Billy McKinney and OF Rashad Crawford. 24 de julio de 2016 Chicago Cubs opcionado RHP Adam Warren para Iowa Cubs. 6 de julio de 2016 Chicago Cubs llamado Adam Warren de Iowa Cubs. 21 de junio de 2016 Chicago Cubs opcionado RHP Adam Warren para Iowa Cubs. 8 de diciembre de 2015 Chicago Cubs cambian a 2B Starlin Castro a New York Yankees for RHP Adam Warren and Player To Be Named Later. 18 de junio de 2013 New York Yankees llamado RHP Adam Warren de Scranton/Wilkes-Barre RailRiders. 14 de junio de 2013 New York Yankees opcionado Adam Warren para Scranton/Wilkes-Barre RailRiders. 19 de octubre de 2012 Adam Warren estado en la lista cambian a por New York Yankees. 1 de septiembre de 2012 New York Yankees llamado RHP Adam Warren de Scranton/Wilkes-Barre Yankees. 30 de junio de 2012 New York Yankees opcionado Adam Warren para Scranton/Wilkes-Barre Yankees. 28 de junio de 2012 New York Yankees seleccionado el contrato de Adam Warren de Scranton/Wilkes-Barre Yankees. 8 de febrero de 2012 New York Yankees invitado fuera del roster RHP Adam Warren para spring training. 7 de abril de 2011 Adam Warren asignado a Scranton/Wilkes-Barre Yankees de Trenton Thunder. 11 de febrero de 2011 New York Yankees invitado fuera del roster RHP Adam Warren para spring training. 16 de julio de 2010 Adam Warren asignado a Trenton Thunder de Tampa Yankees. 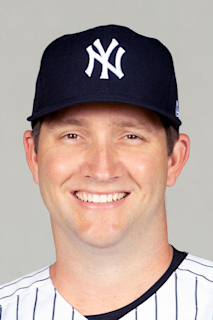 22 de junio de 2010 Adam Warren estado en la lista cambian a por Tampa Yankees. 13 de junio de 2010 Tampa Yankees ponen a RHP Adam Warren en la 7-d&iacute;a lista de deshabilitado. 8 de abril de 2010 RHP Adam Warren asignado a Tampa Yankees. 27 de junio de 2009 RHP Adam Warren asignado a Staten Island Yankees de New York Yankees. 26 de junio de 2009 New York Yankees firmado RHP Adam Warren.